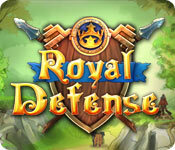 Royal Defense is rated 3.7 out of 5 by 64. 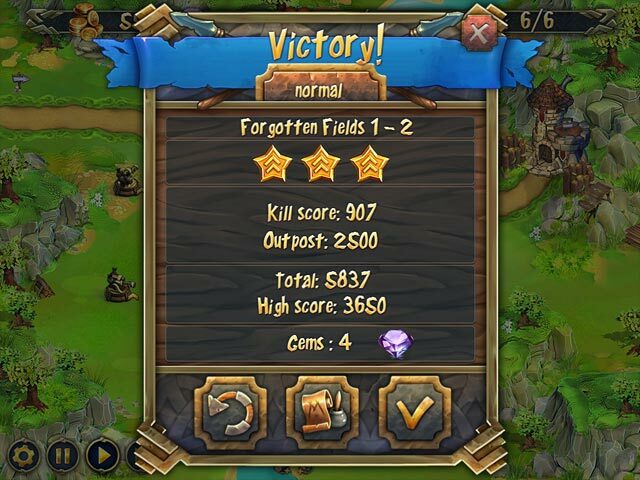 Rated 5 out of 5 by azzie from Great Tower Defense game! This is my absolute fav tower defense game. It's challenging and you can go back and replay the levels to get more gems so you can increase the abilities of your spells, guns etc. Of the games in this series all created by the same company this is by far the best. Rated 5 out of 5 by JudyRitter2013 from Addictive! This game is truly addictive. It’s different from the other games I’ve played. You defend your castle by buying guns and placing them strategically along the path to your castle. Killing enemies gets you gold, which you use to purchase guns and gun upgrades. The bigger goal is to collect gems which you use after the level is finished to buy behind-the-scenes power-ups, or “units”; more gold from enemies, faster rebuild time for spells, larger damage from guns, etc. You can replay the easier levels to collect more gems as they follow you until you spend them. Gold can only be spent on that level. It’s fun, the music and sound effects aren’t necessary for game enjoyment so it’s up to you. This is a little like Plants vs. Zombies, but a lot more fun. I highly recommend it. Rated 5 out of 5 by jbtvs from Excellent Tower Defense game!!!! I loved this game! I just finished every level easy-hard. It took me a decent amount of time and I loved improving my towers, etc. and adding that extra motivation to complete every difficulty level. If you like tower defense games, this one is perhaps my favorite ever. There is plenty of challenge to it, but I promise, no level is impossible and it is so fun!!! So glad I found this game! Rated 5 out of 5 by garfield747 from Challenging Variety I read ALL of the reviews and agree that it can be tough. I play a lot of TD games and find this one interestingly unique. The DEVs created a gem but could have polished it more for a better shine is all. Overall, it rocks! Many levels involve a "trick" starting strategy that once you learn it, the level becomes much easier. As others have said, just keep trying different approaches. In defense of the DEVs, maybe they intentionally gave each level only 4-6 waves so you don't waste time figuring it out. I love Toy Defense, but imagine learning on level 20+ you have the wrong strategy and have to start over... ha.... ha. The variety of this game is amazing. 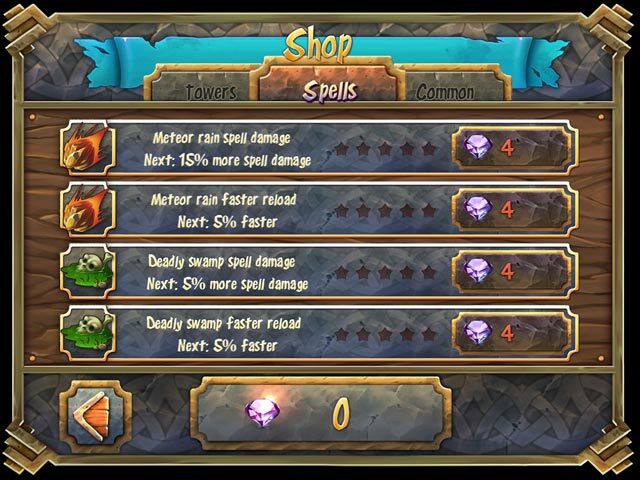 Tower upgrades that can be converted to totally differnet functions, enemies that heal, enemies that sleep towers AND create units, and being able to cast spells onto the map. Wow! Love it. I've played through the 1st campaign on easy without having to go back to levels to get more gems fortunately. I can imagine I may have to on harder difficulties. But once again, the DEVs have provided a way for those who are getting stuck. The graphics go well with the theme, and for a change I've left the pleasant music on low. The gun sounds could be better. When I first started I thought the Dart and Cannon towers were shooting spit wads. I wanna hear Big Booming noises coming out of my defenders as mad, raving hordes race across my Kingdom, COME ON!!!! They got better. The artillery and sniper sounds are more appropriate, thanks. The queen and I sleep better now, hehe. Would be nice when upgrading/buying towers to see some numerical data on the effects and which units it can shoot. ie ground or flying. Overall, job well done DEVs. I'm sure I'll be playing this for quite awhile as it can be HARD! Rated 5 out of 5 by graceland9 from Really fun strategy game RD has such a simple premise, but I played it for weeks in order to earn enough upgrades to beat every level. Then I went back and played it again to earn the gold shield. It has two worlds with lots of levels on each. New and more difficult enemies appear, and you should go back to previous levels, replay them and earn jewels to buy upgrades. 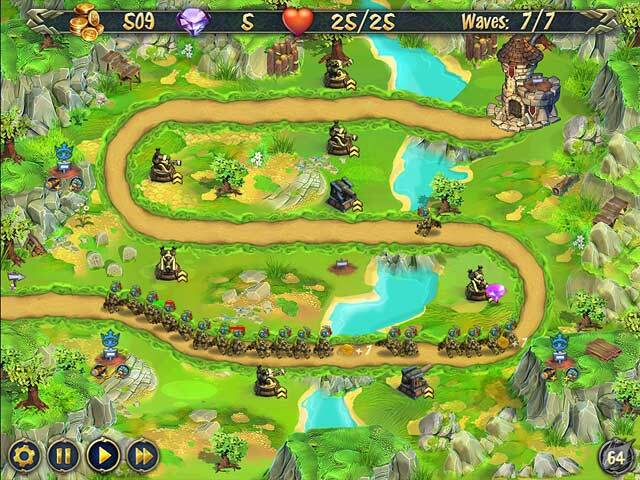 Once you start to upgrade the magic happens and you can defend your little castle and defeat the enemies. I highly recommend the game forums on Bigfish. They were a huge help for some of the most difficult challenges. Rated 5 out of 5 by skydad from Challenging Yet Not Impossible This one has some unique strategy that takes time to figure out on some levels. Can be difficult but far from impossible. Rated 5 out of 5 by meow9th from Simple TD that gets it right This game is great because it has no flaws in execution. It is challenging enough to be interesting, but not so challenging as to be frustrating. It provides enough variety to be interesting, but again, not so much as to be confusing. It loads very quickly, plays smoothly, and provides a generally responsive, high performance feel. Figuring out tower location, tower cost, tower upgrade, enemy types etc are all pretty standard TD problems. Not quite standard is that in addition to gold, enemies also sometimes drop gems, which can be used towards permanent powerups in between levels. On easy, the game feels easy but not too easy. It sometimes takes more than one try to pass a level, and especially later on, often takes more than one try to pass a level with no losses. But you never get stuck not passing a level. There are usually 1-2 levels per map, providing plenty of variety in maps, as well as the enemy types. Good diversity, but not too much to keep track of. Rated 5 out of 5 by Eternlslady from Great game with loads of replayability Some people may have had issues with the difficulty. Personally I like a game that takes a bit of time to beat. And beat it I did on every difficulty. There were a few levels that had me stumped for a few attempts but I quickly realised that the shop was there for a reason. All I had to to was try out a few different strategies while collecting gems and eventually I'd hit the combination of correct upgrades and correct in-level tower choices and I'd win through. If you are having trouble I recommend trying different strategies. Try building a lot of cheap towers rather than mixing them or spending the in-level coins to make them stronger. Or try concentrating on one good tower rather than a few weaker ones... whichever tactic you haven't yet tried. The game is a lot of fun and I beat it on the hard difficulty long before I ran out of available upgrades. I intend going back to it in a few days and trying to collect enough gems to upgrade everything fully, just for the fun of it.